In late November, an enthusiastic team consisting of veterinarians, vet nurses, farriers, support staff and an epidemiologist boarded a ferry to the Gili Islands. Their primary goal was to provide ongoing sustainable veterinary care for the Gili Island ponies. As a popular tourist destination, the Islands which just lie of the coast of Lombok, Indonesia are motorised transport free. The ponies that inhabit the island consequently do the majority of the heavy lifting, providing transport for tourists, locals, supplies, and loads of rubbish. In recent times, the ponies have been particularly hard-working in their efforts to clean up after a series of earthquakes experienced in August 2018 left many buildings in ruins. These animals work under harsh tropical conditions, over difficult terrain, and with little local professional veterinary or farriery services available. For several years, charitable groups have organised pony health and welfare clinics serviced by Australian veterinarians and farriers. 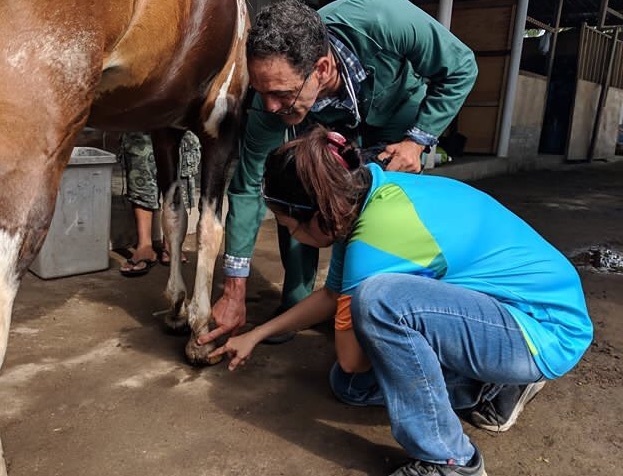 This year’s group of volunteers included Dr Charlie El-Hage, an equine clinician from Veterinary Biosciences, and Dr Peta Hitchens, an epidemiologist from the U-Vet Equine Centre who represented the University of Melbourne’s Faculty of Veterinary and Agricultural Sciences. Charlie primarily led the veterinary care, working with talented Indonesian veterinarians’ Drs Wahyu Peni and Ruth Advendtine. Dealing with some of the more difficult cases, Charlie helped to supervise the veterinary students and nurses. 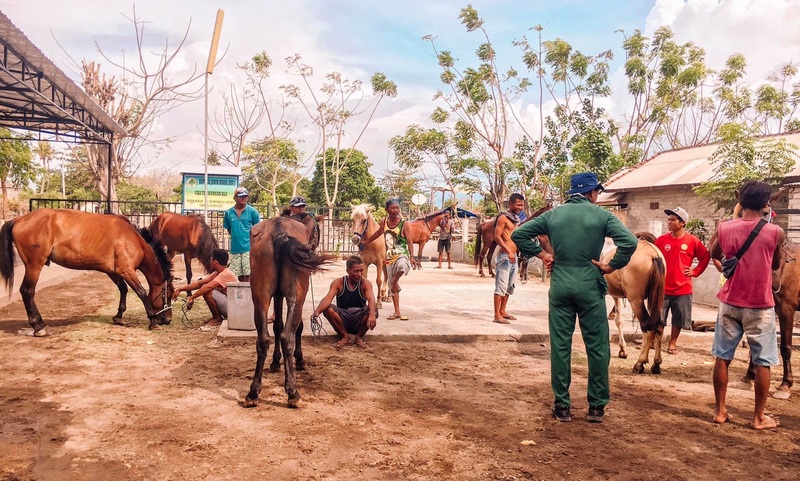 Peta was in control of triaging almost 200 ponies and was invaluable to the process of recording the condition of the ponies so that their health and welfare can be monitored over the three islands of Gili Trawangan, Gili Meno, and Gili Air. 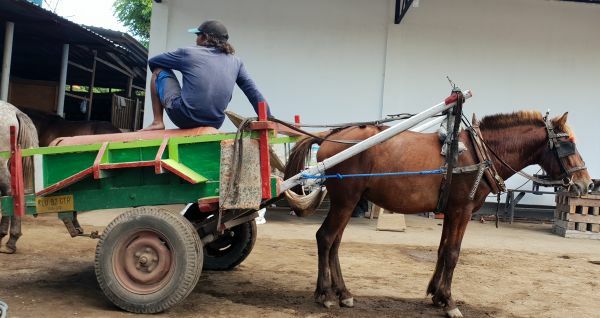 Both Charlie and Peta visited professors from Udayana University in Denpasar, Bali during this trip to facilitate collaboration on future projects monitoring the health and welfare of working and racing ponies on the Island, with a high likelihood of local students accompanying the team in 2019 and an ongoing exchange. It is anticipated that further Gili Island aid visits will be scheduled in May and November 2019, as this amazing team is planning to possibly extend their services into Lombok. If you would like to be involved or contribute in any capacity, please contact Charlie El-Hage; cmeh@unimelb.edu.au or Peta Hitchens; peta.hitchens@unimelb.edu.au. These missions would simply not be possible without the support and generosity of the following organisations; Animal Aid Abroad, Dental Vet, Kelvin Grove Equine, and Chamberlain Equestrian Farrier Services Murdoch University, Animal Leather Accessories, and many local organisations including Horses of Gili, Gili Eco Trust, Blue Water Express, Trawangan Dive, Lutwala Dive, Blue Marlin Dive, and Gili Divers. Charlie would also like to acknowledge the assistance of staff at the U-Vet Werribee Animal Hospital and the following companies for their delightful support; Randlab, Provet, Sutureglide and Sudocrem.